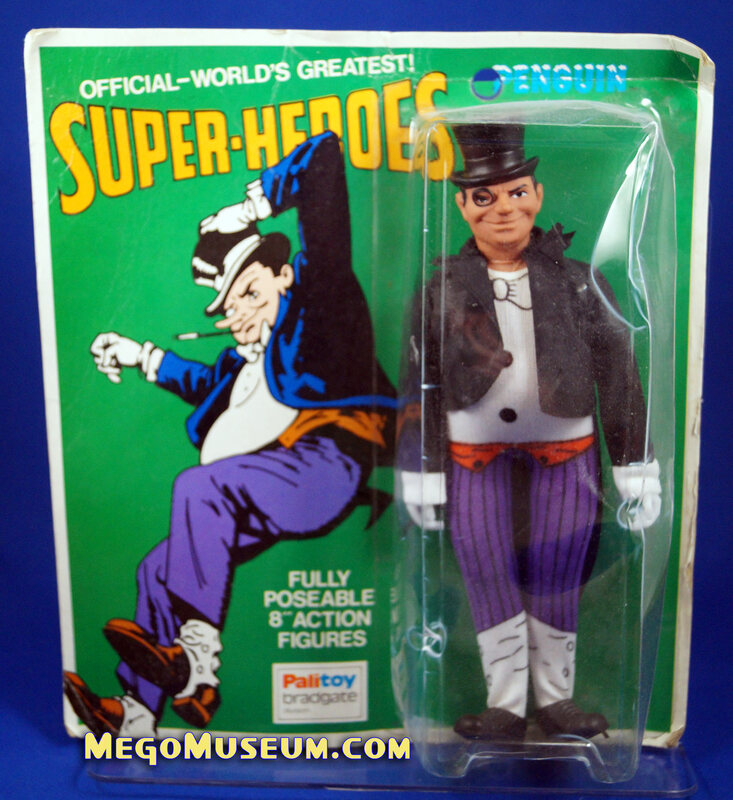 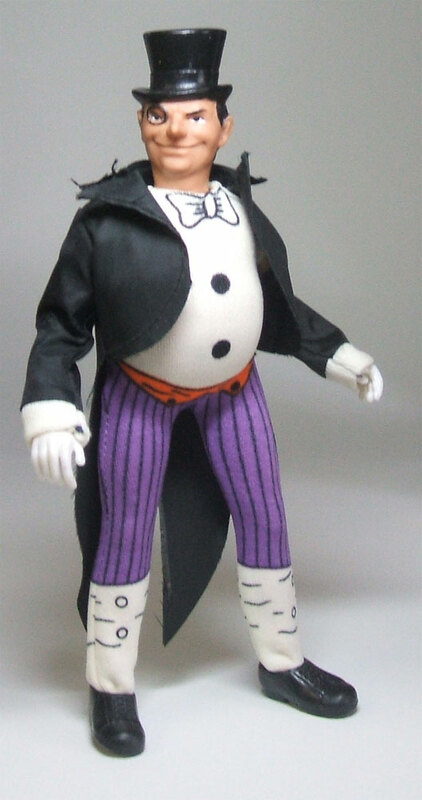 Mego Penguin comes with a stiff vinyl fabric tuxedo jacket, as opposed to the Joker’s cloth one. 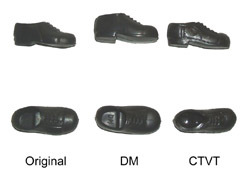 Standard black dress shoes. 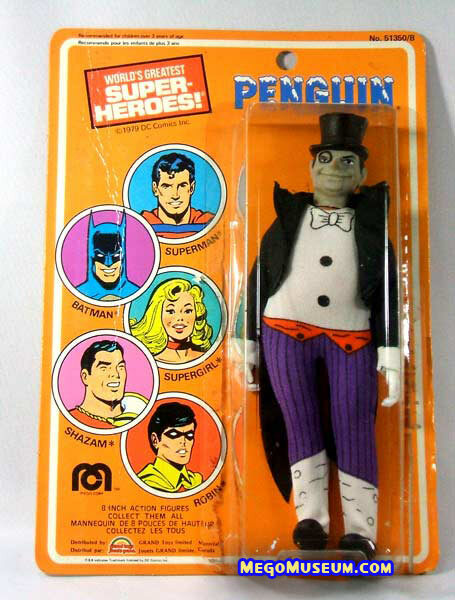 No other accessories. 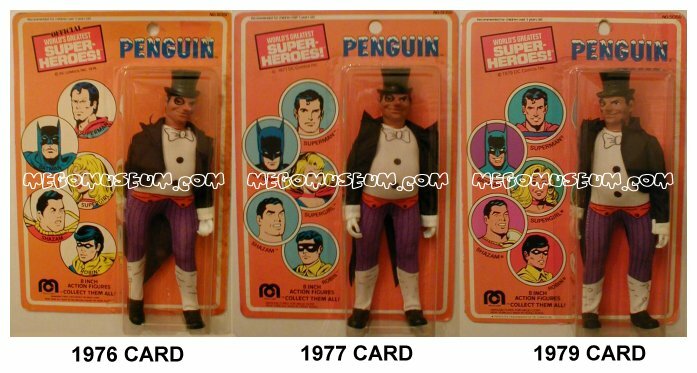 Below, Tom has provided us with a detailed look at the Mego Penguin card releases, very nice! 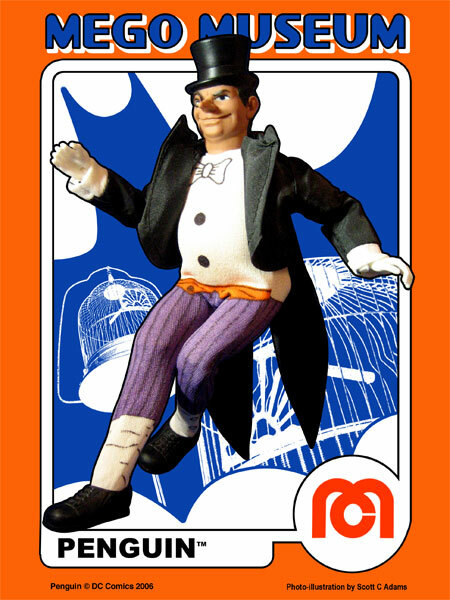 The Penguin pictured above is on a Canadian Grand Toys Card. 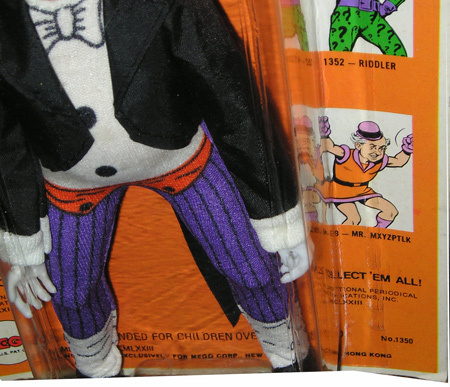 Grand replaced Parkdale Novelty as the distributor of the World’s Greatest Superheroes line around 1979. 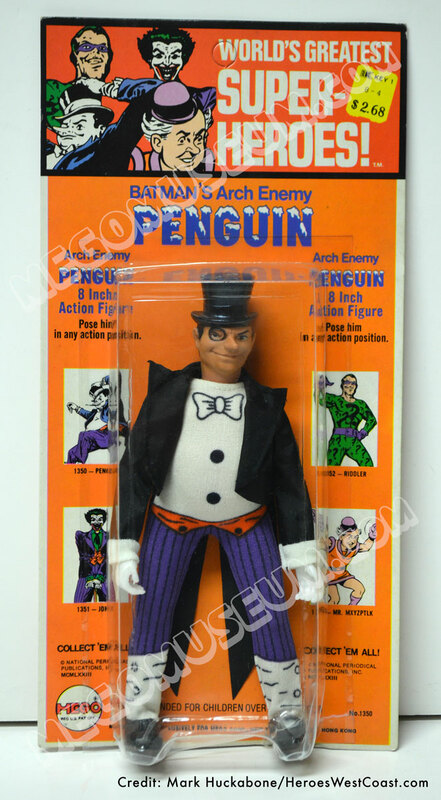 The green carded Penguin from Palitoy UK is much harder to find than his US counterparts. 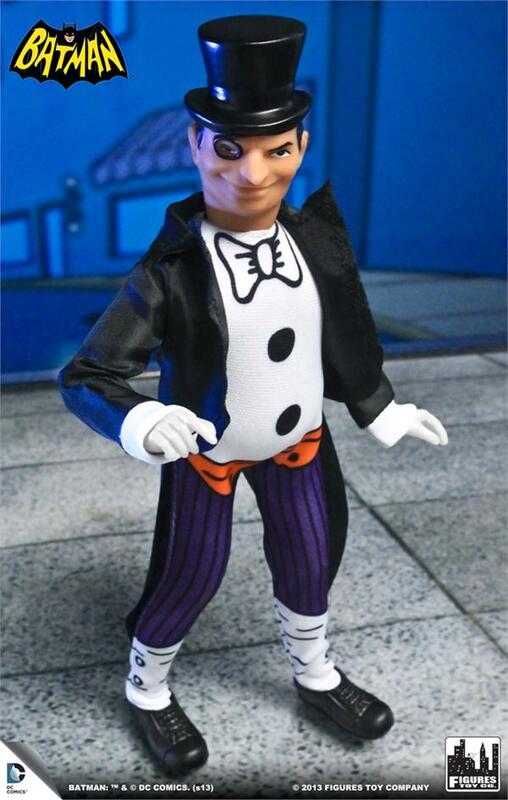 Photo courtest of Brian (Palitoy). 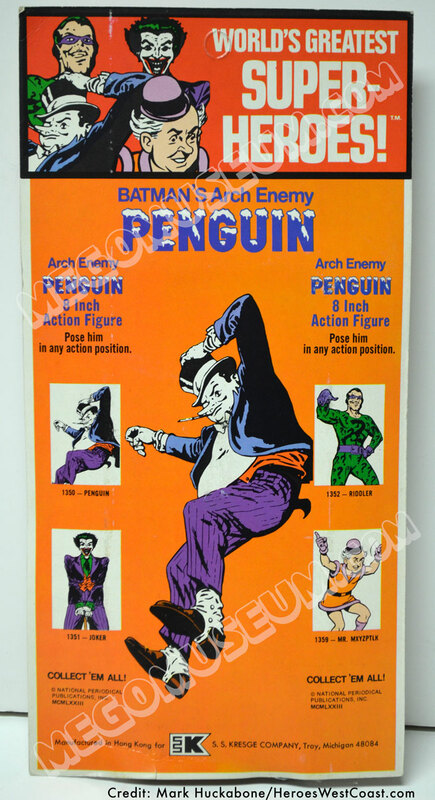 Doctor Mego had a Penguin jacket made up. 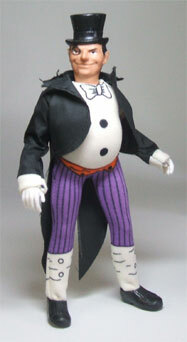 It is pretty close when compared to the original, right down to the ease of fraying. 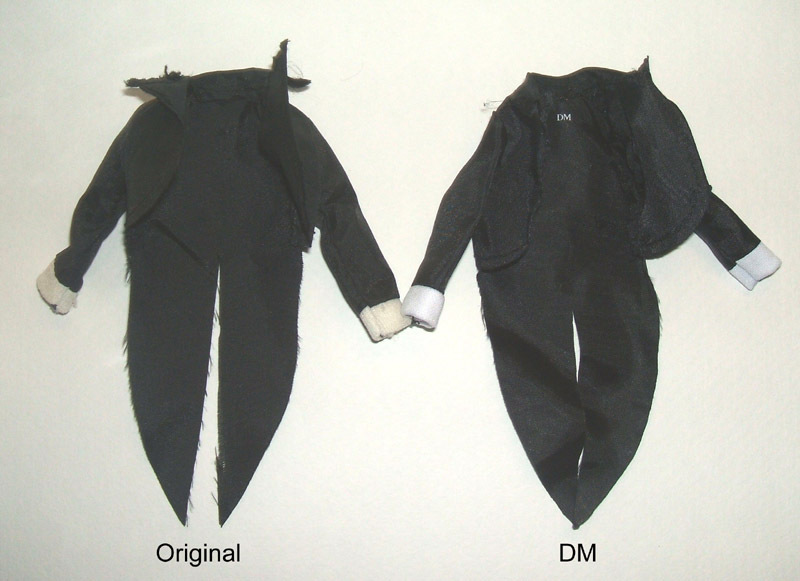 The front of the coat on DM’s version is cut a little longer and comes around the waist more, where the original starts curving up towards the collar right at the side seams. 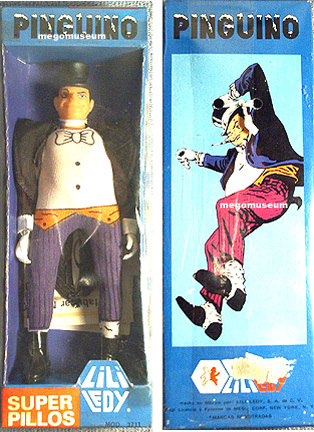 The original is also cut higher up where the tails split. The repro is marked DM on the inside near the collar. 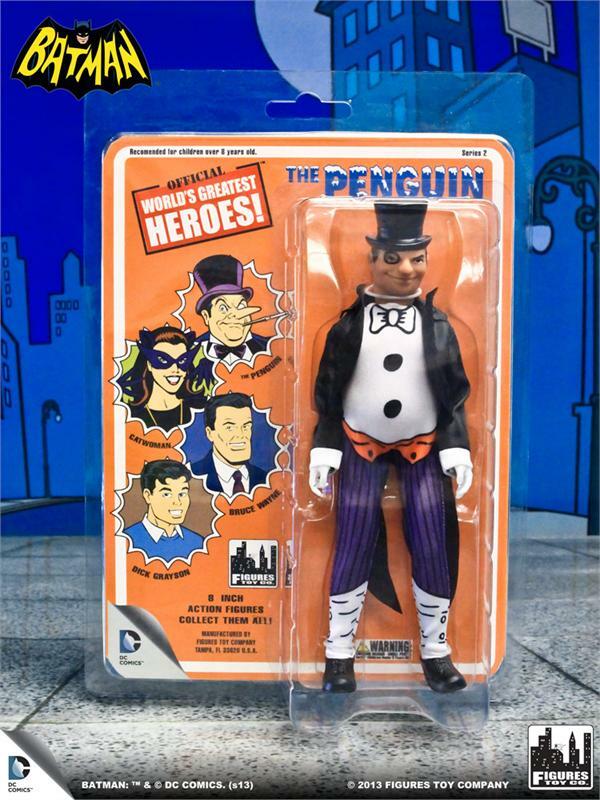 Figures Toy Company released the Penguin in 2014 as part of their Series 2 Batman Wave. 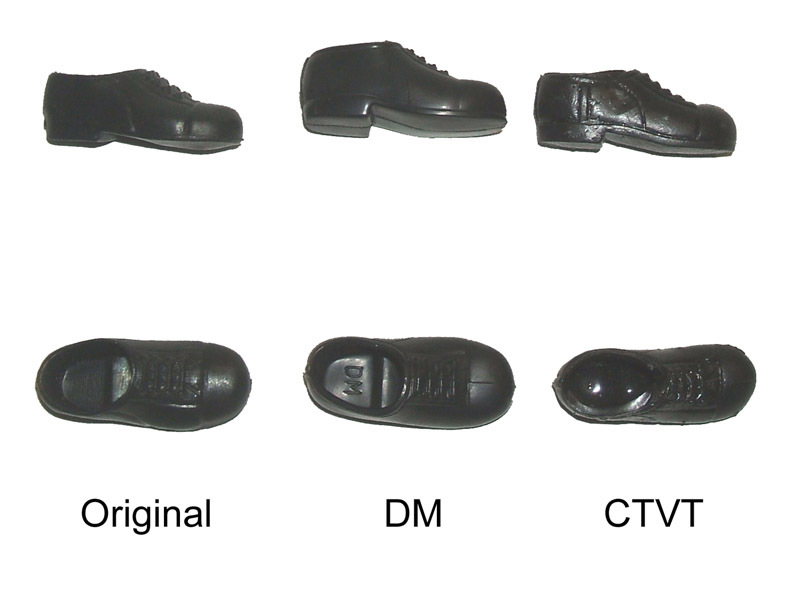 The differences from the original are subtle and numerous. 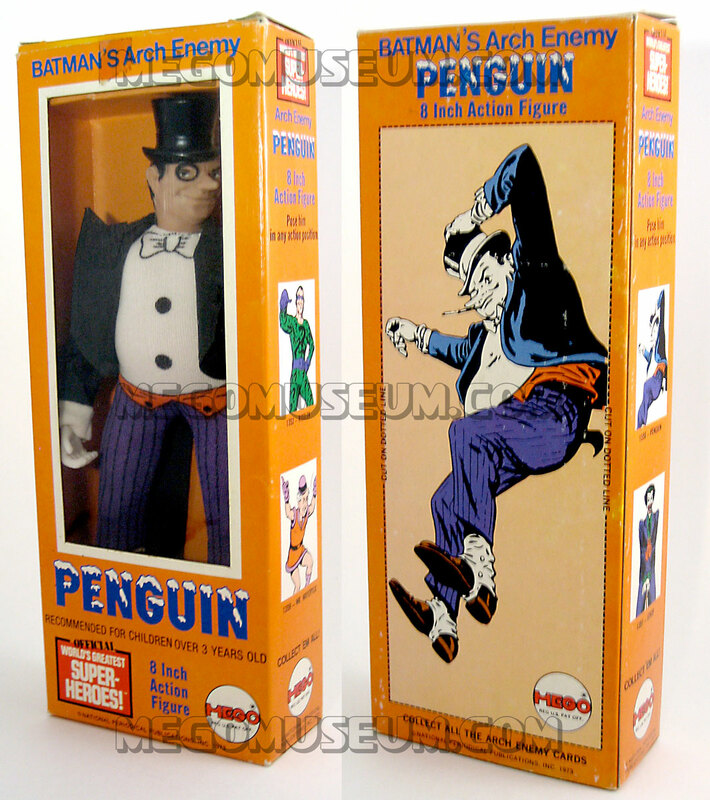 2014 Figures Toy Company Penguin Reproduction with recloseable clam shell packaging.